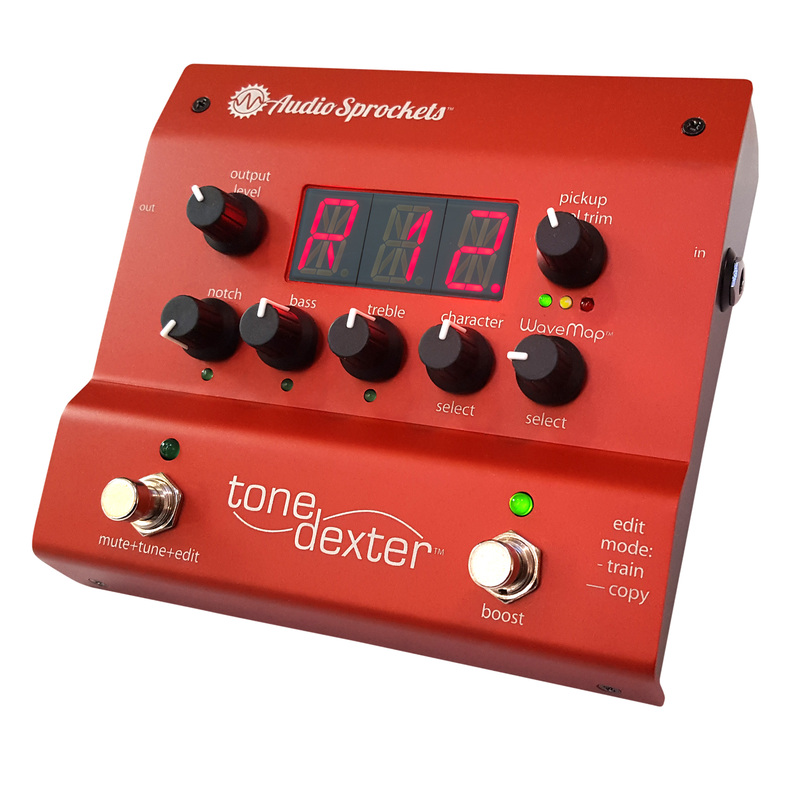 Press Release – Nevada City, CA August 2018 – ToneDexter is an innovative professional grade preamp that improves the sound of an acoustic instrument pickup. It can learn the difference between how an instrument sounds through a microphone and how it sounds through a pickup, and correct the pickup sound so it sounds more like a mic, using patented WaveMap® technology. Store different mic positions, different mics and different instrument WaveMap sounds for easy recall, plus ToneDexter includes features for reducing feedback in live situations. Audio Sprockets was founded to solve a problem that every acoustic instrument player has on stage—how to get a great sound out of a piezo pickup. Any one who has performed with an instrument mic knows the limitations and constraints, but before ToneDexter it was only a choice between the thin sound of a pickup and the problems and limitations of using a mic. Now, thanks to the Audio Sprockets team, you can have the convenience of a pickup with the rich sound of a studio mic.